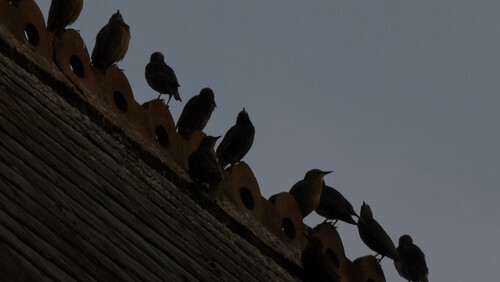 Starlings gathering on the roofs of Topsham by the Exe estuary at sunset. Every so often a group of them would take off and form a mini-murmuration. Later they headed off to spend the night on the nearby reed beds.